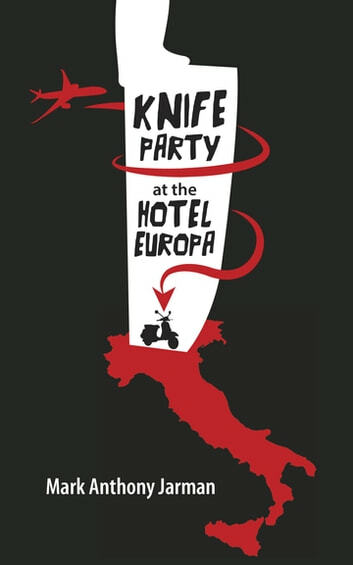 In Knife Party at the Hotel Europa, Jarman writes about losing and finding love, marriage and melancholy, the dislocation and redemptive power of travel in Italy's sensual summer. 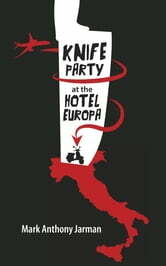 A man travels to Italy to escape the memory of love lost, and a marriage ended. He passes through sun-drenched landscapes of cliffs and seaside paradises, while the corpses of refugees wash up on the beach; he parties with the young and beautiful Italians he meets on the train while a man bleeds to death in the hallway. A teenage thief prowls the roof of the tourist hotel at night; an embassy is bombed; holy statues come alive to roam in a gang stealing used restaurant grease. He suffers the acute loneliness of one who has abandoned and been abandoned, and in this exquisite suffering, he finds how beautiful this life can be. In vivid, sensuous prose, Jarman's stories circle and overlap in surprising, weird, and wonderful ways. Tangents turn out to be crucial, allusions are powerful.